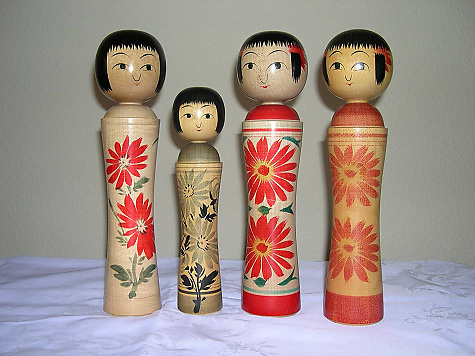 Oshin dolls are designed after the Naruko doll with their distinctive shoulders. These pretty ladies were made after a very popular serialized telvision program featuring “Oshin,” a poor woman who overcomes hardships to make a better life. When the program was finished, its popularity among the Asian community created the demand for a doll to be made in the memory of Oshin.